The National Assessment and Accreditation Council re-accredited the college as an A grade institute. After visiting all departments, facilities and extensive interaction with all the stakeholders of the College, the NAAC Peer Team re-accredited the college as an A grade institute. 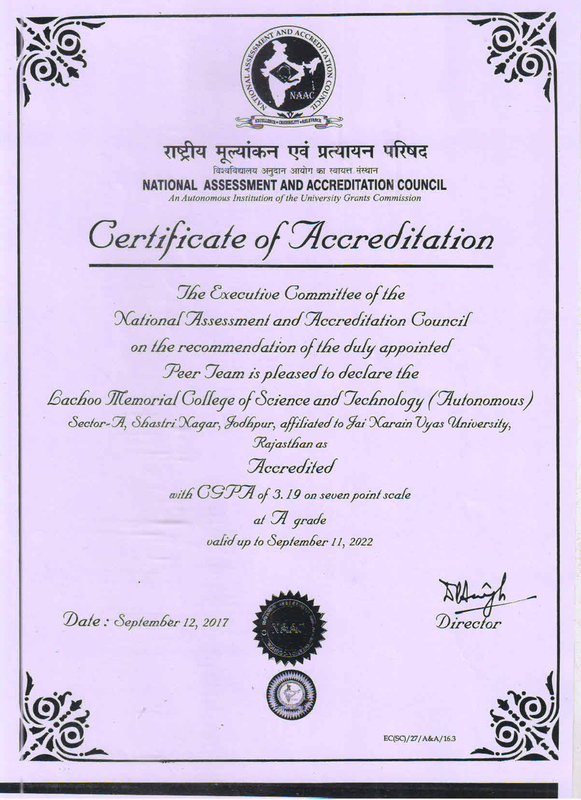 In the result declared on 12.09.2017 NAAC re-accredited the college as an A grade institute with a CGPA score of 3.19 om 4 point scale.